If you have a great FREE resource for finding contact info for applying for employment please list them below. I probably have another 100 or so links at home that I can add to this list. When I get a chance I will take a look at the bookmarks I have on my home computer. If any of you have an interesting FREE resource you would like to add to the list please do. Last edited by avcanada on Mon May 09, 2005 9:30 am, edited 6 times in total. Alot of the sites are specific to pilots. are there any resources geared towards the non-flying part of the industry? Like dispatch, flight co-ordinators, etc? "this is how you smile to someone you don't like too much; this is how you smile to someone you don't like at all; this is how you smile to someone you like completely; this is how you set a table for tea." ~ Jamaica Kincaid, "Girl"
Last edited by desksgo on Mon Oct 30, 2006 9:25 am, edited 1 time in total. 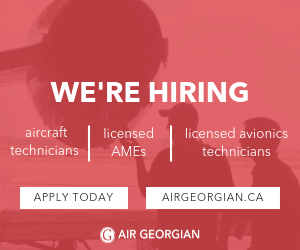 Does anyone have any information with regards to Airline positions for Flight Engineers in Canada or Europe? Here are a couple of websites I found that have information about Canadian companies. Looks like some entries haven't been updated anytime lately. Maybe if you have any up-to-date info, take a second to update the entry that you are familiar with and help someone out. And, for sh*ts and giggles, I found an interview profile for Air Canada when they were hiring in 2000. Interesting to see how much has changed. Just browse the ground school, free sample exam, and flight planning pages. A Canadian agency operated by experienced pilots and engineers specializing in placement contract or long term for Canada and worldwide employment. Anyone can do it, I just do it better ! ! ! Does anyone have a current/updated link to TC's commercial operator search/list? Success in life is when the cognac that you drink is older than the women you drink it with. This is amazing guys...this thread should be stickied to the top. STEP BY STEP:Pilot training and career information - HOW TO BECOME A PILOT.